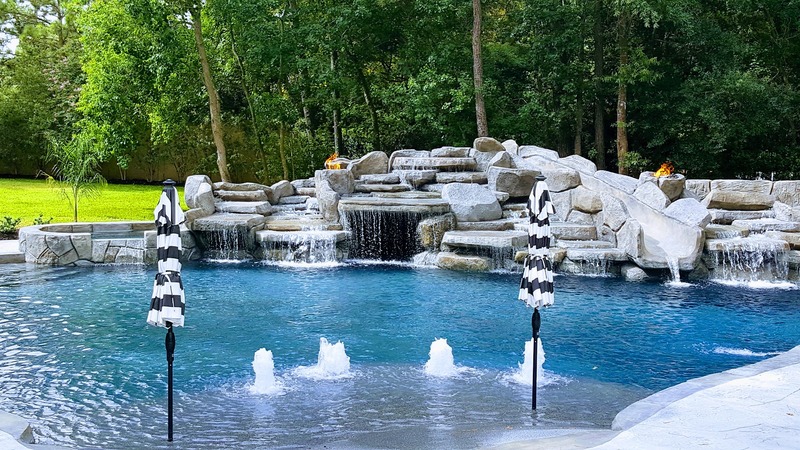 We create custom Modern, Lagoon style, Contemporary, & Traditional Swimming Pools. beautiful private outdoor retreat and living area. 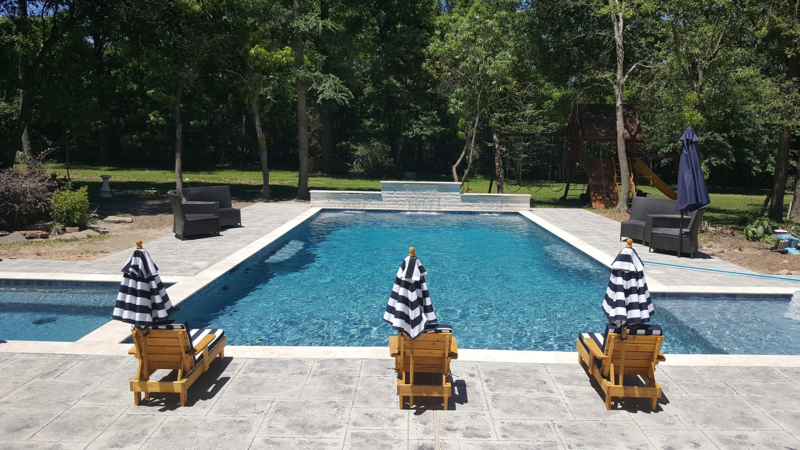 We create custom Modern, Lagoon style, Contemporary, and Traditional Swimming Pools. We provide all types of remodeling service from retile and replaster to total makeovers, adding spas, waterfalls and other water features. We also create outdoor kitchens, and custom dinning areas. 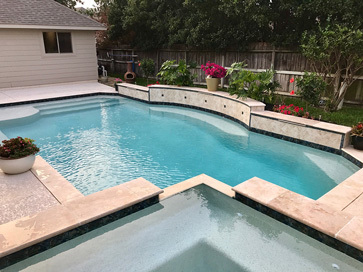 We only use the best pool equipment available on the market today and we are fully qualified to install the most modern energy efficient pool & control systems from Hayward. As a swimming pool contractor with an A+ business rating by the Houston Better Business Bureau, you can be assured that your pool construction and installation is in the right hands with Atlantis Poolscapes, a locally owned pool design and building company with hundreds of satisfied customers since 1982. We have been designing and building backyard dreams since 1982. Let us come show you the possibilities. For owners looking to revamp a plain or outdated swimming pool, we offer a variety of renovation services. 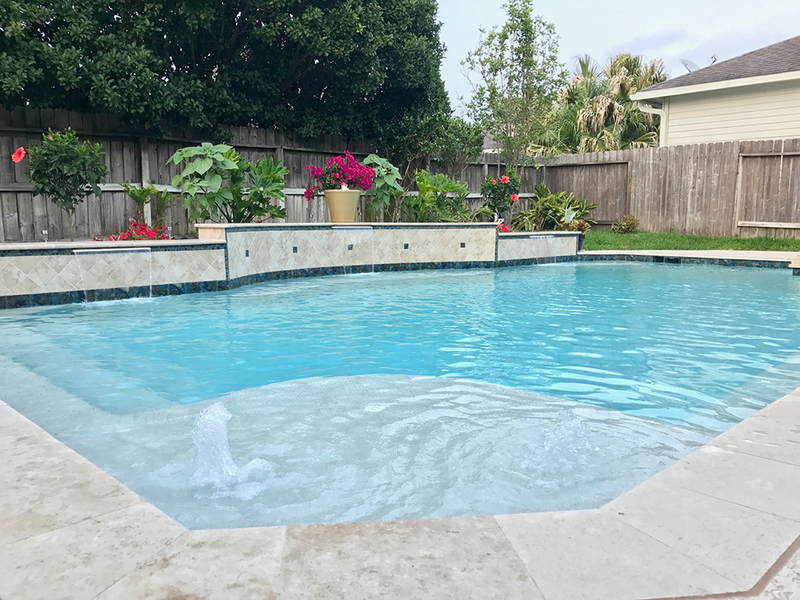 Whether resurfacing and repairing, extending the size and depth, or simply adding modern features – our pool renovation services can completely revitalize the look and feel of your entire backyard. 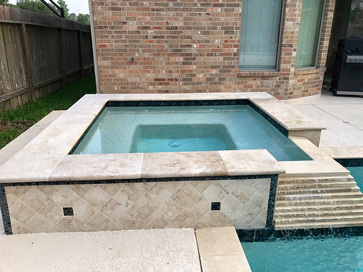 Our Pool Designers have years of experience in planning, designing and building swimming pools and spas for Houston homes. To view examples of our beautiful pool designs visit our swimming pool. Atlantis Poolscapes provides a variety of swimming pool repair services across the Houston area. 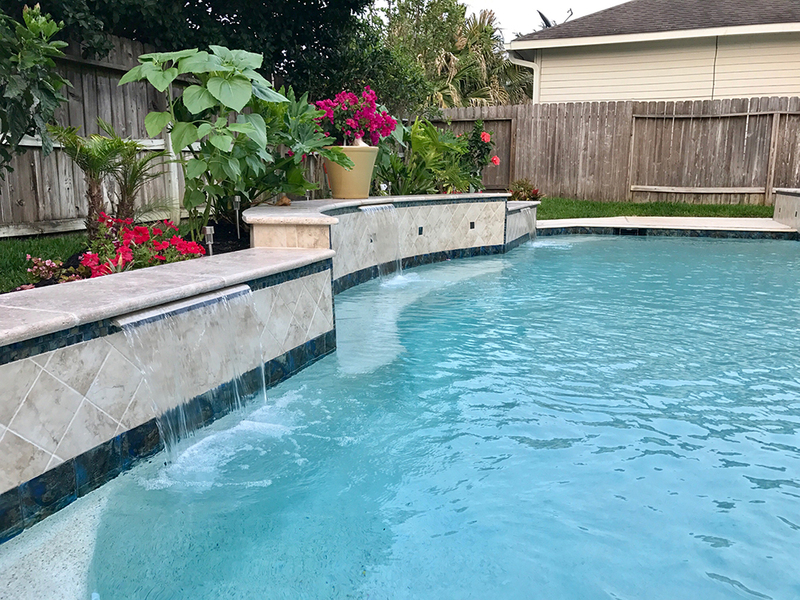 From cosmetic repairs to equipment repairs and upgrades, including the replacement of pool parts, and general monthly service. 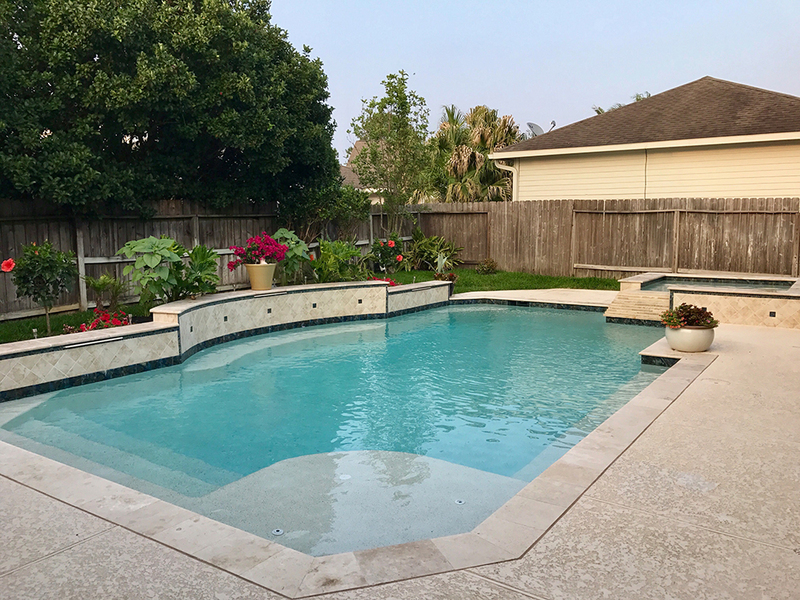 Serving the cities of: Houston, Tomball, Waller, Chapel Hill, Brenham, The Woodlands, Spring, Magnolia, Hempstead, and Hockley with quality pool construction and more. The Association of Pool & Spa Professionals (APSP) is the world’s oldest and largest association representing swimming pool, spa, and hot tub manufacturers, manufacturers’ agents, builders, designers, distributors, suppliers, installers, retailers, and service technicians. repeat business is rare in the Houston swimming pool industry. But at Atlantis, we’ve always felt that quality and service go hand in hand. Each customer receives the personal attention of our owner to ensure that every step of the construction process is completed on time and to the highest standards. Our customers are precious to us and their needs always come first! We’ve been around for 34 years and we’re not going anywhere! 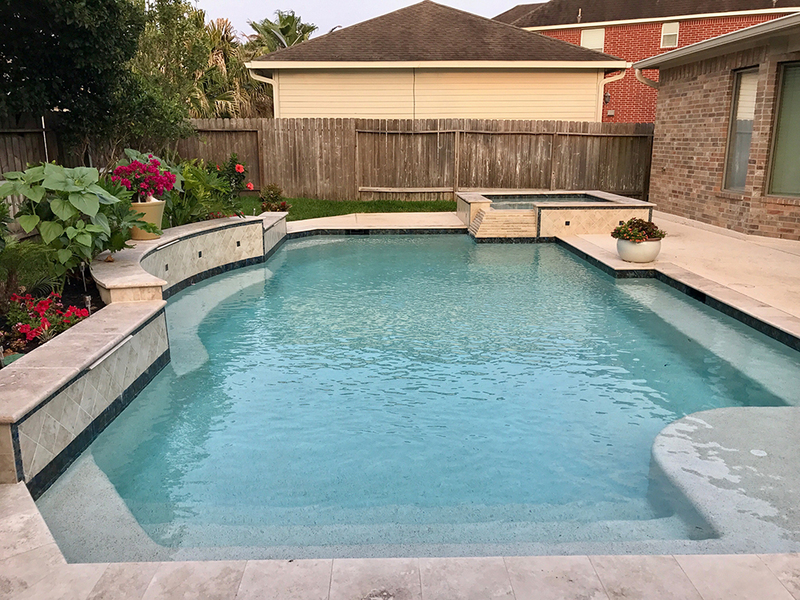 If you’re looking for an established, experienced pool builder in Houston that you can trust, give us a call today. We look forward to making your pool dreams a reality! We offer a lifetime structural warranty on your swimming pool and our 100% satisfaction guarantee to every customer.